The team at Northwest Plastic Surgery Associates, PLLC, understands the emphasis placed on the appearance of the face. Having treated so many patients, we also understand the challenges presented by craniofacial reconstruction. Our Missoula practice works with patients and families in need of help. Dr. Stephen Hardy and our staff have the training and experience required to skillfully correct craniofacial deformities. The wide variety of craniofacial reconstructive surgical procedures consists of correction of deformities of the face and head due to injuries, birth defects, and the treatment of invasive tumors. The need for craniofacial reconstruction depends on the cause of the abnormality, injury, or disfigurement. The obstetrician or a child's pediatrician will often make the diagnosis of craniofacial abnormalities in children during gestational ultrasound examinations or at the time of delivery. Sometimes genetic disorders are associated with congenital facial abnormalities, such as Treacher-Collins syndrome, and can be detected before birth by chromosomal analysis. Typically the diagnosis for craniofacial reconstruction in adults is made by trauma surgeons in the emergency room or by physicians who have treated the patient for cancer. Performing plastic surgery for trauma patients is the most challenging field because a surgeon has no time to prepare. Our Montana plastic and reconstructive surgeon, Dr. Stephen Hardy, has a strong background in performing plastic surgery for trauma patients. He loves the ability to help patients with traumatic conditions. As part of his vast education, Dr. Hardy received fellowship training in Pediatric Craniofacial Reconstructive Surgery at the University of Utah and the Primary Children's Medical Center in Salt Lake City, Utah, after completion of his training in Plastic, Reconstructive and Hand Surgery at the Columbia University College of Physicians and Surgeons and Columbia Presbyterian Hospital in New York City, New York. Dr. Hardy's complete education and training in this complicated field brings his unique abilities to the patients in our region. Craniofacial reconstruction is a complicated process that often requires the skills of both a plastic surgeon and a neurosurgeon. These surgeries address the skeletal system as well as the nerves and facial skin with dramatic results. Dr. Hardy will discuss the benefits and potential risks of these procedures based on your individual case, medical history, and evaluation. He will work closely with any additional physicians, surgeons, or paramedical specialists to ensure complete return to normal form and function. 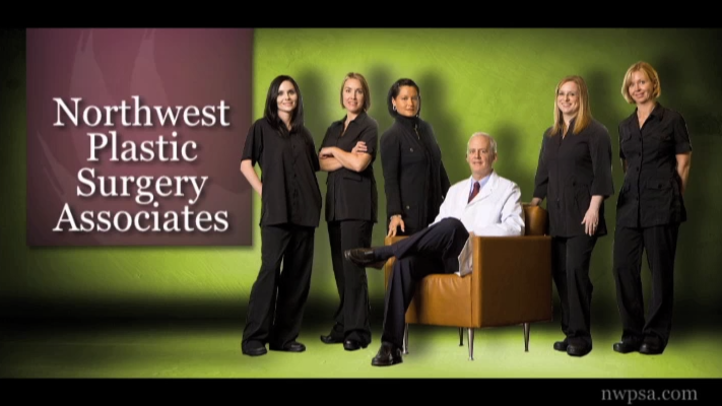 At Northwest Plastic Surgery Associates, PLLC, we pride ourselves on doing everything we can for our patients. Dr. Hardy and our staff have extensive training and experience handling craniofacial reconstruction at our Missoula practice. Please contact our plastic surgery center today to schedule your personal consultation with Dr. Hardy.